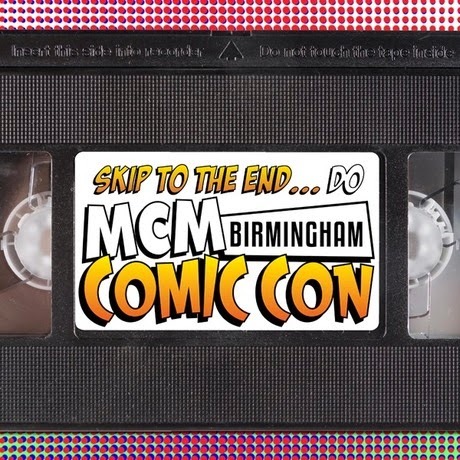 Our MCM Birmingham Comic Con Podcast is here! On this special episode we attend the MCM Birmingham Comic Con. We interview RJ Mitte, known to Breaking Bad fans as Walt Jr, who tells us about his time on the hit show as well as his charity work. We talk to Ian McElhinney who discusses his role as Ser Barristan Selmy on HBO's Game of Thrones. We also speak to Under The Dome star Colin Ford, Arrow Video producer Ewan Cant, and esteemed artist Graham Humphreys. As well as this we attend a panel for upcoming British sci-fi movie The Call Up. Listen to the podcast for a chance to win an exclusive Breaking Bad prize as well as an awesome t-shirt courtesy of Headshot Clothing.